The Infinite Programing Guide (IPG) reimagines the traditional electronic program guide (EPG) to fit real world user discovery and viewing behavior. The designs are informed by eTV Lab research, as well as the project team's own user research. This research demonstrated that users mostly discovered content that they were interested in through word of mouth, that users do not think in traditional genre categories, and that users want to explore a show's characters and relationships. The way users find and describe content is not reflected by current electronic program guides (EPG) or content recommendation algorithms. How do you make it easier for users to engage with characters and relationships in television shows? The IPG connects users to individuals and curators who they follow. 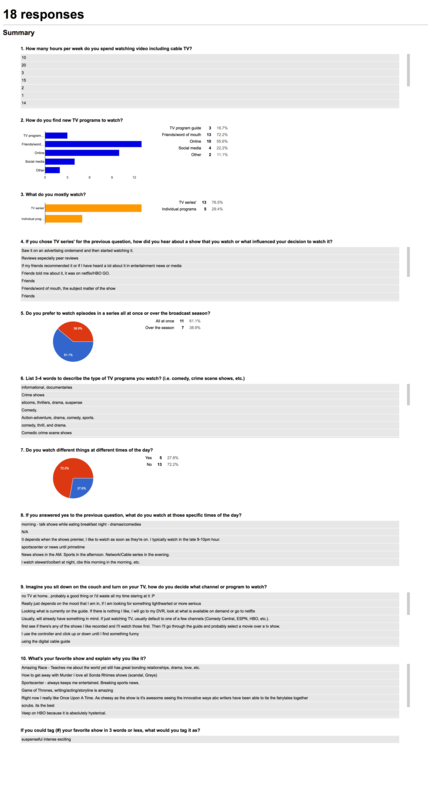 This allows users to be shown content they are likely to be interested in. 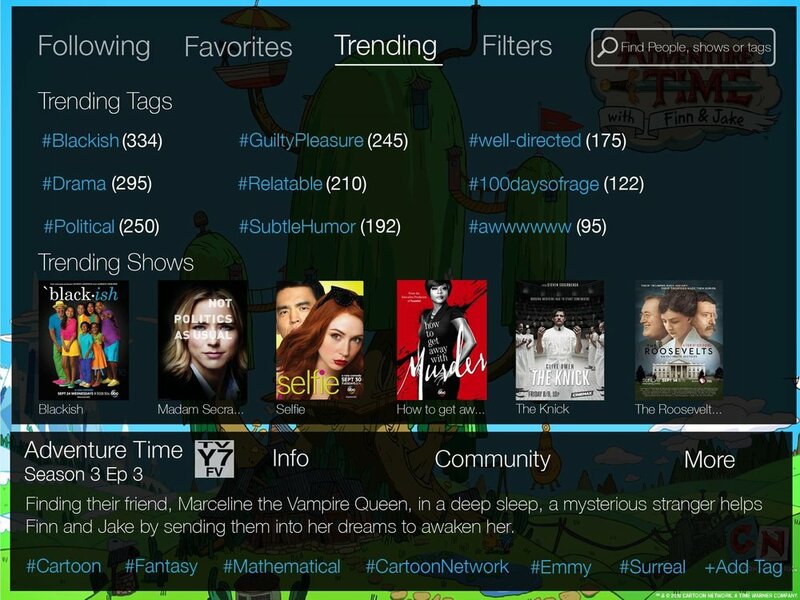 It also allows users to discover shows and genres that are popular with a national audience and describe content more naturally using tags. These changes move content discovery and curation inline with how users currently discover and describe content on and everyday basis. These changes increase the value added by a program guide and recommendation system for the user. 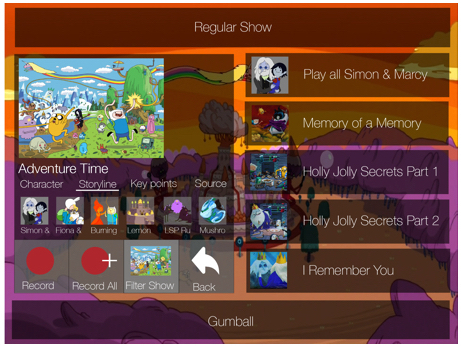 When a user has selected a show to watch or learn more about they will be able to explore different characters and storylines within the show. 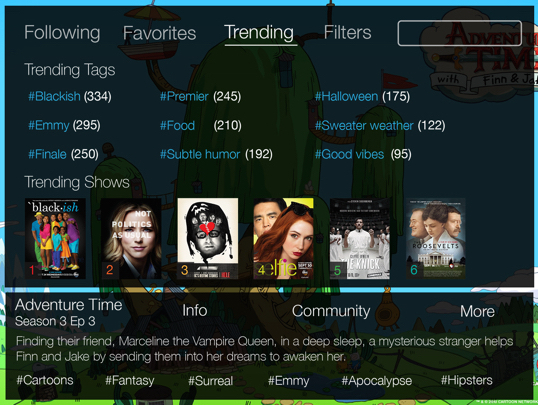 This curated experience allows users to engage deeper with their favorite characters and relationships in the show.